For making voip calls around the world by the most friendly prices, only thing that needs to be done to become our client. It’s very simple to accomplish it, just go through simple registration form, download and install client software to your PC, portable PC or mobile device and replenish your account. PC or mobile device, of course, must be connected to wideband network, with speed of data transfer not less than 100 Kbps. Making voip calls is also possible, using regular landline phone. For this purpose, phone must be connected to SIP adapter. Besides that, our clients can order their personal virtual DID number, which allows to accept incoming calls on landline phone or using PC or mobile device and, also, to receive different types of discounts, for active usage of our voip telephony. VoipClub users account can be replenished for amount of money, not less than 1 Euro. It’s worth mentioning, that many operators allow to make voip calls only if user has 5 or more Euro on his account. Our users are not obliged to replenish their accounts monthly and funds, remaining on their accounts may be used any time they need it. If our clients lose the need to use IP telephony anymore, than, even after one year, their accounts stay untouched, active and does not require replenishment, to make account active again. Voip calls are charged by seconds (there are several exceptions, for example, if user needs to call to India, he will be charged by minutes) and length or quantity of conversations per day or month is unlimited. Voip telephony has advantages not only for individuals, but also for different companies and organizations, for which communication expenses can be lowered up to 3 times. Nowadays, more and more companies hire services of different voip operators, because voip calls not only increase economy of funds, but also, significantly, raises level of communication quality between structural units of the enterprise and clients, because virtual DID number can have multiple channels. If company operates on international level and it’s units are located in several countries, than advantages of voip telephony become obvious. Our operator supports connection of DID numbers, that have up to 50 channels. Standard number has two channels. Voip calls can be charged, according to two different data plans – “Standard” and “Premium”. “Premium” data plan allows identifying the incoming call – real landline phone number or virtual DID number of our client. All the incoming calls are not being charged at all, not depending on data plan. Connection during an outgoing call is also not being charged. To make voip calls to mobile devices or landline phones, it’s necessary to follow international rules of dialling numbers. First that gets typed is code of particular country and after that – users phone number (of landline or mobile network). The main advantage of voip telephony, in comparison with traditional methods of voice-based communication, is that it’s a lot cheaper. Voip calls from and to any location in the world are several times cheaper, than from landline phones or mobile communication and besides everything else, location of the caller makes absolutely no difference. For example, calls to Canada from any other country, using our services, will cost only 0.008 cents per minute, to France – 0.009 cents per minute and calls to Ukraine will cost only 0.063 cents per minute. 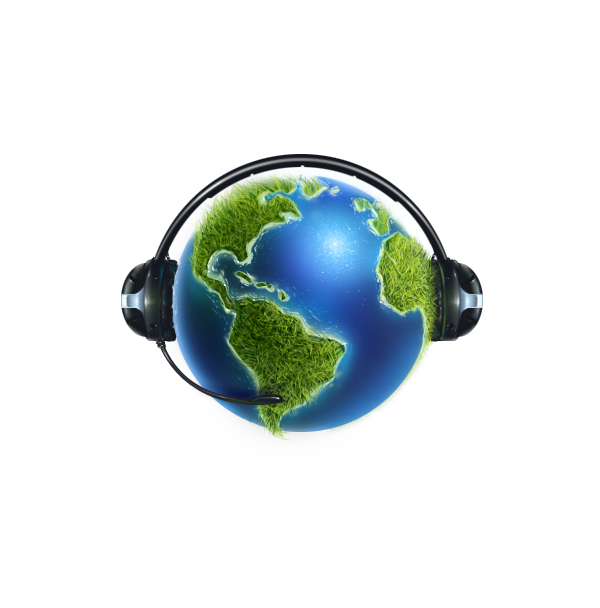 This way voip calls solve the main problem of calling worldwide – their costliness. High quality and low prices for communication are the the most considerable reasons why voip calls are getting more popular year by year. One of questions being asked frequently by users of voip telephony is “what about safety of calling?”. The answer is – voip telephony is only one of the cheapest ways to call, but also it’s highly secure way to stay onlinewith important people around the globe. VoipClub service uses the most advanced technologies of data transmission. Some time ago, inability to receive calls, that are coming in from landline and mobile networks was the main problem of IP telephony. Today this problem has been completely solved. Virtual voip number, a.k.a. DID number is the most efficacious way to receive voip calls, that are coming in. DID number not only allows IP telephony users to accept incoming calls, but also keeps their actual phone numbers in secret. If user decide, to get number like this, he can be 100% sure, that he will not miss any incoming calls and will always stay online with important people. The fact, that user with his own virtual number can accept calls from several callers at a time, is also very important. In this case user should activate multi-channel virtual DID number. Our clients can order connection and service of fifty-channel virtual DID numbers. By using this service, client not only gets his own virtual voip number, which, by the way, doesn’t differ from any landline number, but also makes home based virtual telephone station, which makes voip calls more rational and, what's not less important – economically efficient method of communication. Besides everything else, not being tied to specific place is also very significant aspect. Virtual number stays the same, when entering another region of the particular country, or even another country and does not require any additional procedures to be done. Calling and messaging procedures are being controlled by VoipClub user with help of really easily understandable web interface, which allows to gain access to users individual virtual number from any place around the globet. If needed, user may forward incoming voip calls to any landline phone or mobile device, what allows to stay online in case of different force majeure circumstances and emergency situations, like if power supply has been cut off or if computer breaks. Our company is able to pick different numbers that are suitable for individual needs of the client, because we have our own numbering capacity. We can guarantee timely receipt and highly professional maintenance of services provided by us and, of course, fulfilment of contractual obligations, so the system of voip calling can really save time, money and nerves of our clients and make their personal and business calls convenient and easily available in alltimes. Virtual DID numbers also carry many advantages for corporate users – from small firms to large companies. Considering that virtual DID number has absolutely no connection to local ATS (Automatic Telephone Station), All incoming voip calls can be forwarded straight to any office phone in the company and forwarding can be configured from any place and in any time (remotely). DID number has the structure of standard landline number. 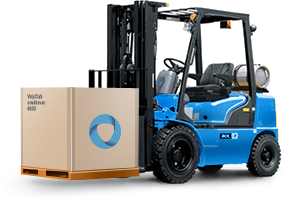 It is used with purpose of receiving communication services remotely by minimal prices. For example, company can order DID number with code of Russia and forward allcalls that come in straight to Spain. This way voip calls are being received on Russian number, and caller will be under impression that office of the enterprise is in Russia. Actually office of the enterprise can be located and operate in any other country. Voip calls are being made for funds, linked to virtual number. It allows to significantly cut expenses on maintenance of separate structural unit of the enterprise. This opportunity is being implemented, by allowing free calls within the home network and low charges on outgoing calls (up to 3 times cheaper than any landline communication operator can offer) and, of course, absolutely free incoming calls. With of special setting, all the calls, coming into the office are being equally spread between workers of the office. This service is being implemented by using special scenario of spreading incoming calls (IVR technology), which determines, who is busy on the phone and who is free to take current incoming call. IVR significantly increases productivity of work in the office of the enterprise, because it provides immediate response to incoming calls by free operators. This kind of number is very profitable for those organizations and companies, which run their business in different regions of one country, because voip calls of their clients, living in cities, where is no office of particular company, considerably saves their funds. 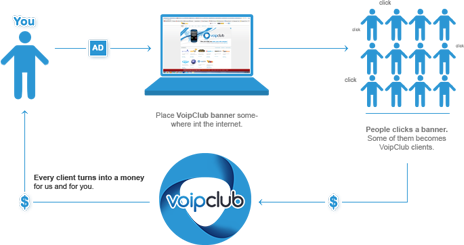 Your voip calls, using VoipClub can get even more profitable if you decide that you want to participate in our collaboration program. To become a participant of our collaboration program and lower the expenses of voip calls, it’s required to get through a few uncomplicated actions. Any client can participate in VoipClub partnership program. Right after the registration user gets a set of links, banners and html codes, using which, he can promote our services. User is getting his reward as percentage from purchases (account replenishments) of clients, which were attracted using promotion materials, mentioned above. This percentage is handed out to participants of the collaboration program as VoipClub credits. You can examine more information about the collaboration program in menu of your account (Clients > Referrals). Level 3 seller. Receives 2% from each referral. Any client of the VoipClub system can change his statusto reseller. Resellers get several advantages among all other users, among which there are right to pass the client to other users, right to create vouchers and also getting discounts on buying credits (replenishing account). To change your virtual character status to reseller you need to replenish your users account for 20 Euro and press the activation button in menu of your account change your virtual character status to reseller). Than you automatically gain access to functions, available to reseller. 20 Euro are remaining on your users account and you can use them as you like. Attention: If you become a user of group 2 or 3 and turnover of funds on your users account is less than 500 Euro per month, you get demoted by 1 group every month. For example, you belong to group 3 and you get 2% discount for buying credits. If you are not bought anything, using your users account’ for a month, you will be unconditionally demoted to group 2 and from that moment your discount will be only 1%. You can’t be demoted lower than to group 1 and discount won't be less than 0.5%.